Cars and clothes a�� two things that you can now get your hands on without having to take your car out, or change your clothes for. 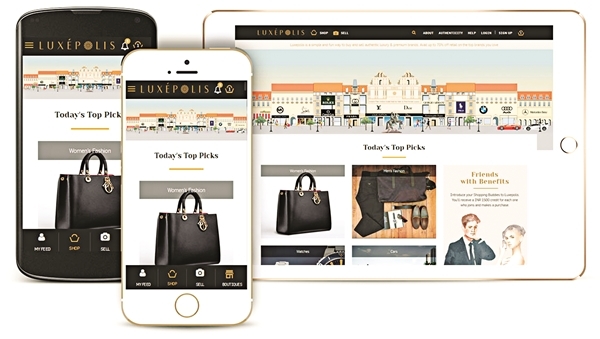 The online store Luxepolis, much like Etashee, Elani, Stylish Play etc, brings you pre-owned luxury fashion wear, including clothes, jewellery, and accessories. However, what theya��ve done is taken it a step further and added cars from brands such as Maserati, BMW, Mercedez, Audi, and Volkswagen. a�?As customers would like a test ride, check the condition of the car etc. we ensure the documentation papers etc are clear when the car is put up for sale itself. However for now, these luxury cars are available for sale in Mumbai only,a�? says founder Vijay KG. Luxepolis offers over 5,000 vintage and new luxury products from top global brands such as Louis Vuitton, Hermes, Fendi, Chanel, Christian Dior, Gucci, Furla, DKNY, Michael Kors, Burberry, Coach and others. a�?Apart from selling pre-owned products, we also have a range of new clothes from an earlier season,a�? says Vijay. And that is never a deterrent, as he adds, a�?We offer considerable discounts on these products, so the a�?last seasona�� factor doesna��t matter. I wouldna��t mind buying it simply for its brand value and sporting a Ralph Lauren.a�? The e-store also has pre-owned designer wear such as wedding trousseau from Ritu Kumar, Tarun Tahiliani, Suneet Verma among others. 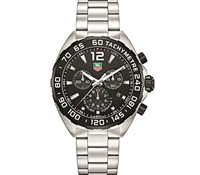 a�?We have a thorough authentication process to ensure the brands are genuine. In case of designer wear, we dona��t put up the product unless the seller provides us with the bill,a�? Vijay says. The idea of starting Luxepolis was originally conceived when Vijay was with Nykaa, an e-commerce startup that sells high-end cosmetics, and skin care products. At Nykaa, he was responsible for on-boarding several luxury beauty brands online for the first time in India and his thirst with premium brands steamed from there. a�?I spent more than two years to study the market. Ita��s then that I realised the market for this segment and was excited with the potential it has. Studies revealed that people in India made over `30,000 crore transactions online to buy luxury fashion products from abroad,a�? says Vijay who handled key roles with IT giants Microsoft and Infosys. Luxepolis is vying for a `6.6 crore funding in first round and is looking at adding branded furniture, electronics and kids fashion to their existing portfolio. a�?In the next three months, we are looking to expand and will have over 10,000 stock keeping units (SKU),a�? adding that a sizeable number of clients are from tier two cities.